Henning Sass is currently Medical director and chairman of the Board of the University Hospital of the University of Technology, RWTH Aachen, Germany. 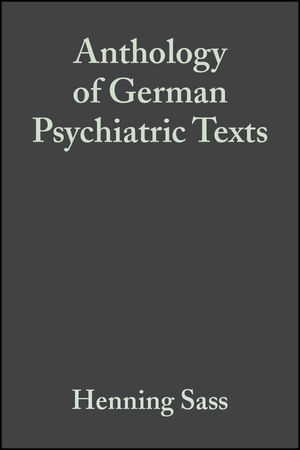 He trained at the Department of Psychiatry at the University of Heidelberg. He then held the Chair of Forensic Psychiatry at the University of Munich and of General Psychiatry at the University of Technology in Aachen. As a professor of psychiatry he was head of the German Society for Psychiatry (DGPPN) in 1999/2000 and of the European Association of Psychiatrists (EPA) in 2005/2006. He is editor or co-editor of various scientific journals, Der Nervenarzt, J Behav. Sciences and the Law and ZPPK. He serves on the Board of the Association of Medical faculties in Germany (MFT) and is also Consultant of the German Ministry for Science, Education and Technology in Berlin - Gesundheitsforschungsrat des BMBF . His research includes psychopathology, personality disorders and forensic psychiatry.